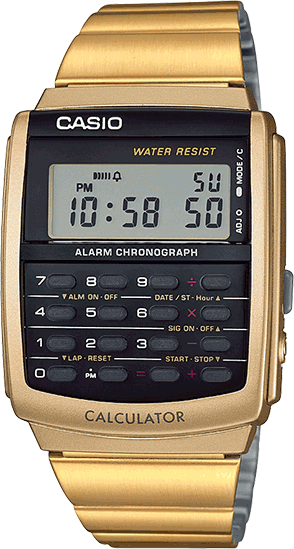 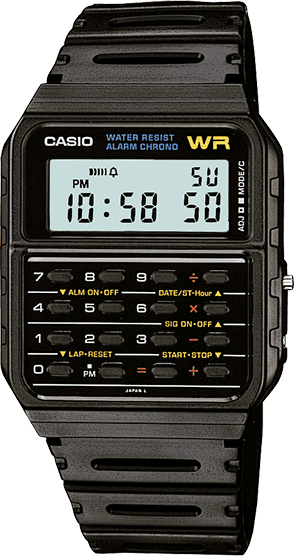 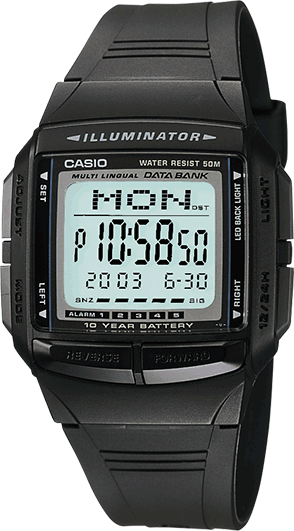 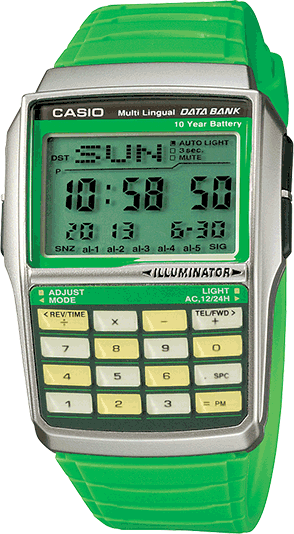 A retro timepiece inspired by designs from 1998 that is fully stocked with an eight-digit calculator and a stopwatch. 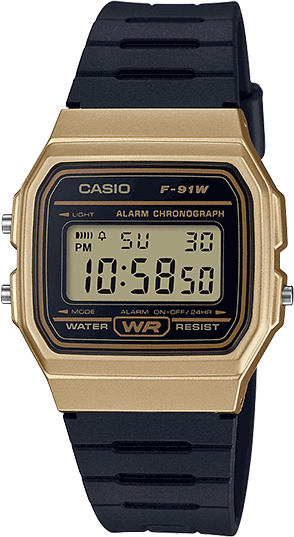 A tried and true style great for casual wear. 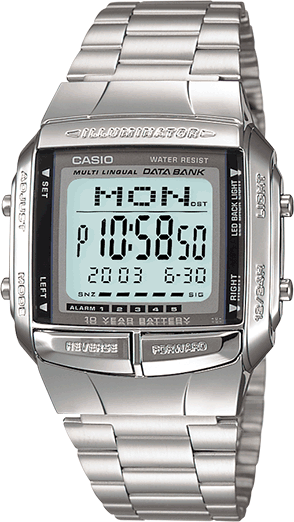 A sporty timepiece inspired by designs from 1998 that is fully stocked with an eight-digit calculator and a stopwatch, and is water resistant for up to 50 meters. 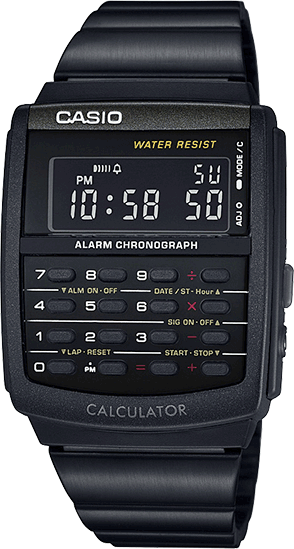 Because life is not always black and white, these limited edition databank watches will bring you back to your school days. 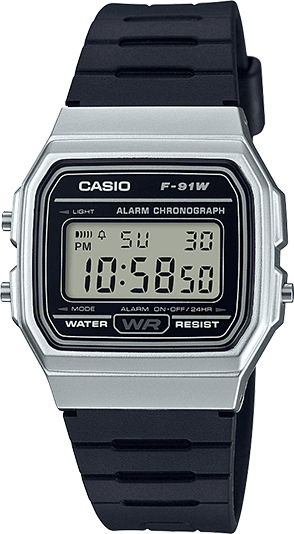 The perfect watch for every traveller. 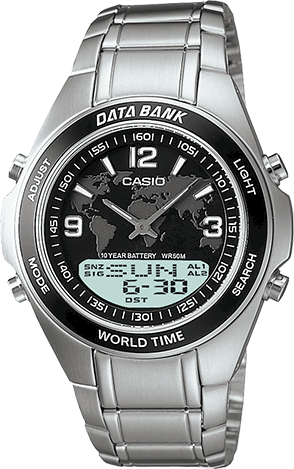 With its analog digital combination you can see the time in up to 2 time zones. 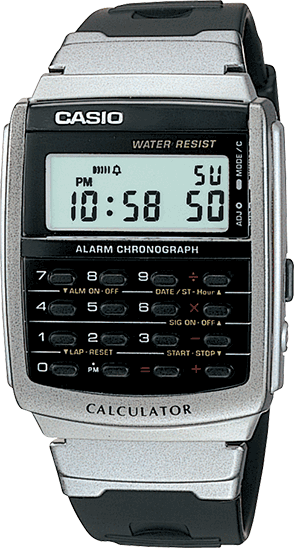 Operate your TV, cable box or VCR right from your wrist. 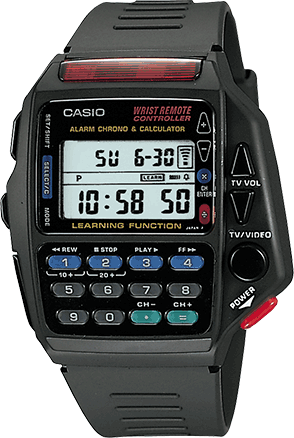 With this watch you’ll never have to search for the remote again.